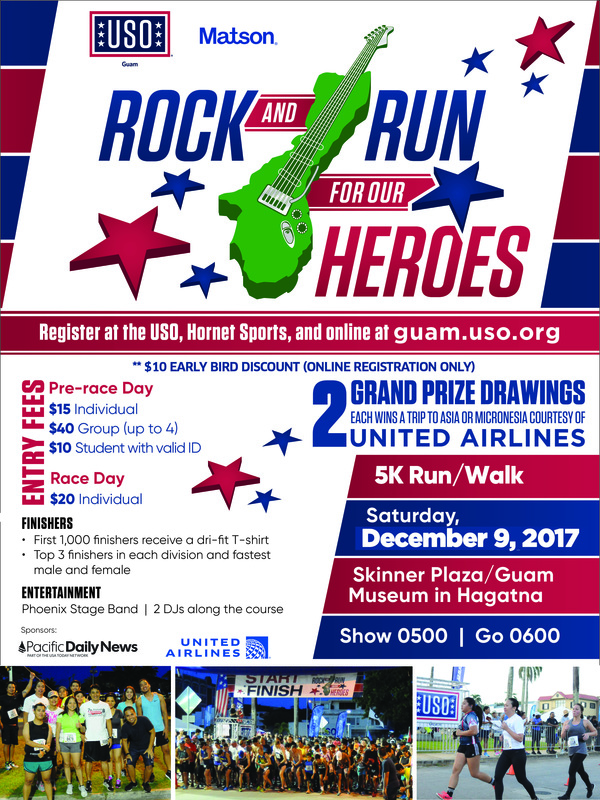 PRESS RELEASE – Don’t just run, ROCK your 5K at USO Guam’s 13th annual Rock and Run For Our Heroes 5K Run/Walk. Hosted by Matson Navigation, the event will be this Saturday, December 9, 2017. USO Guam invites all runners and walkers to participate in the event which begins and ends at Skinner Plaza in Hagatna, featuring a flat course with beautiful views of Agana Bay. Back by popular demand is the Rock and Run theme, featuring live music throughout the race course and plaza. The first 1,000 finishers will receive a free dri-fit t-shirt. 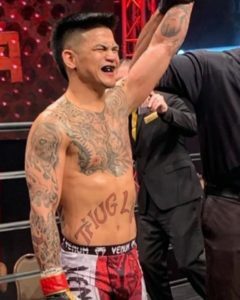 Show time is at 5 a.m. and go time is at 6 a.m. In addition to supporting USO Guam and local military service members, all participants will be eligible for a chance to win a United Airlines economy roundtrip airfare to Asia or Micronesia. Pre-registration is available at USO Tumon Bay, USO Andersen, and Hornet Sports in Tumon. Advanced registration is $15 per person and $40 for a team of four; students pay $10 with a valid ID. Race day registration is $20 per person. 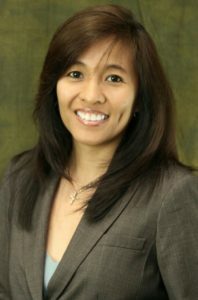 Funds raised from this event will enable USO Guam to continue to support more than 40,000 USO center visits each year by military members and their families, and the thousands more that benefit from our mobile programming. 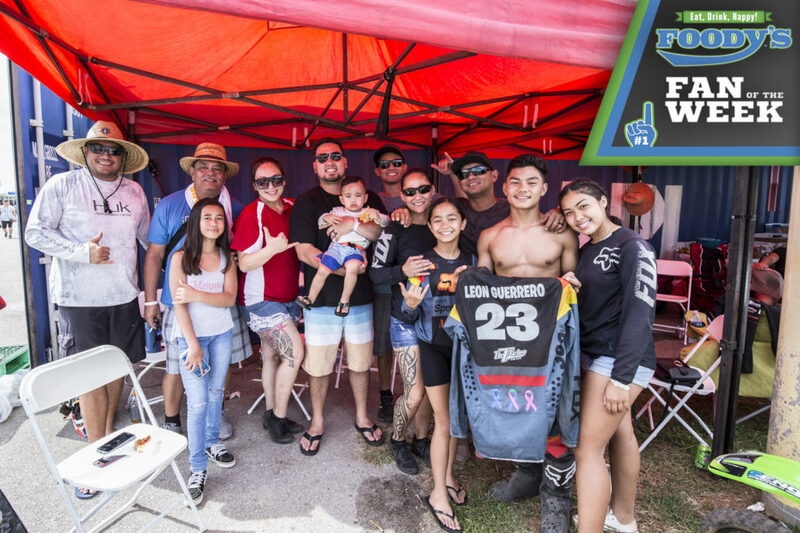 Your support in events such as this allow USO Guam to continue keeping troops connected to family, home and country throughout their service to our nation. For more information follow us on Facebook, Twitter, and on Instagram, or contact USO Guam Area and Programs Manager Edmund Lebita at elebita@uso.org or call 647-4876. The USO strengthens America’s military service members by keeping them connected to family, home and country, throughout their service to the nation. At hundreds of locations worldwide, we are united in our commitment to connect our service members and their families through countless acts of caring, comfort, and support. The USO is a private, non-profit organization, not a government agency. Our programs, services and entertainment tours are made possible by the American people, support of our corporate partners and the dedication of our volunteers and staff. In addition to individual donors and corporate sponsors, the USO is supported by President’s Circle Partners: AT&T, Bob & Dolores Hope Foundation, Clark Construction Group, LLC, The Coca-Cola Company, FedEx, Jeep, Johnson & Johnson, Kroger, NFL, Southern New Hampshire University and Four-Star Partners: Altria, BIC, ConAgra Foods, GEICO, Harris Teeter, Lockheed Martin, Microsoft, TKS, USAA and the Wawa Foundation. 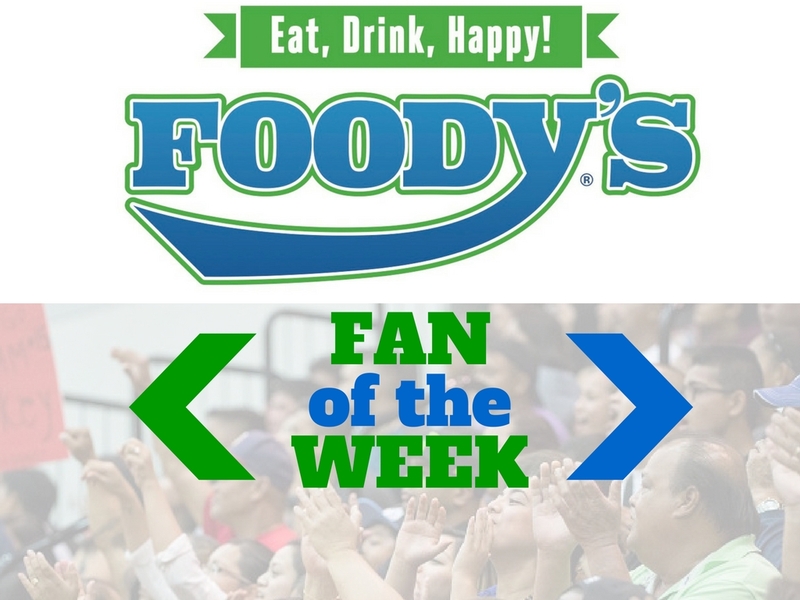 We are also supported through the United Way and Combined Federal Campaign (CFC-11381). To join us in this important mission, and to learn more about the USO, please visit uso.org.